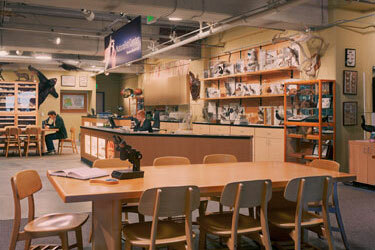 The Space Place represented the California Academy of Sciences in their relocation to 875 Howard Street while they rebuilt their permanent location in Golden Gate Park—one of the most historic and complex transactions in San Francisco history. 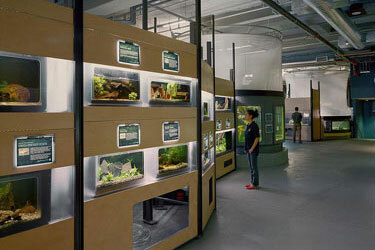 During the summer of 2001, we were called in to a meeting of the Steering Committee of the California Academy of Sciences to begin offering real estate advice in conjunction with their ambitious plan to relocate from Golden Gate Park—temporarily—while virtually their entire site at the Park was to be rebuilt. Although the Academy had already determined the scope of design and construction for their new, permanent site at Golden Gate Park, the “Transition Facility”, as it came to be known, remained a complex, ethereal entity. An overall budget had been established for the combined projects, which provided us with the framework for allowable real estate expenses. The Academy maintained only general allocations for the sizes of each of their departments, and no conclusions had been reached about the types of property—office, retail, industrial or flex—necessary to accommodate each group. Further, since the Academy exists to primarily serve the public at large, the geographic parameters for the site selection remained very broad—encompassing the entire San Francisco Bay Area. 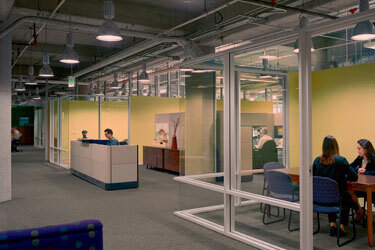 875 Howard Street, selected as their “Transition Facility” during construction of the new location in Golden Gate Park. 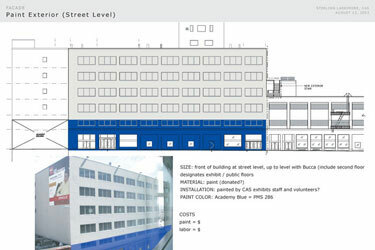 Even the building exterior treatment was considered and provided for in the planning and negotiation stages. The Space Place team insured there was adequate office and conference room space for the Academy to conduct their operational functions onsite too. Ensure that the lease dovetailed with the projected completion of the new facility in Golden Gate Park, allowing the Academy to phase out of their temporary building on a floor by floor basis, as areas of their new facility were completed. Education programs and facilities were also considered for the benefit of thousands of school age children. 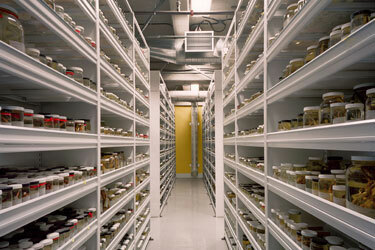 Storage for 25 million “things” from the Academy’s world-renowned collections. 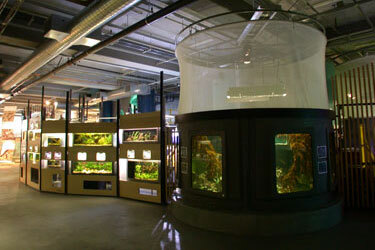 A temporary Steinhart Aquarium exhibit. Our focused exploration of buildings extended from Mission Bay to The Presidio, identifying every retail, industrial and office possibility. The Team converged, analyzed and focused on four properties, eventually narrowing down to 875 Howard, which had been a victim of the Dot-bomb collapse and had sat vacant for two years. The building had previously been leased (but never built out) by office tenant, March First. 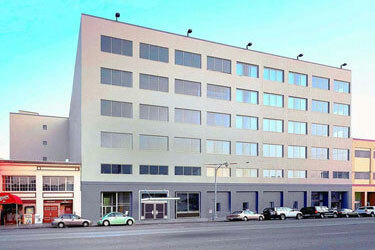 875 Howard, between 4th and 5th Street, presented a unique and attractive location for the Academy, immediately adjacent to Moscone Center, parking and public transportation…all positive attributes to accommodate the Academy’s many constituents. Although the original zoning had to be changed, 875 Howard met all of the Academy’s essential requirements and could house not just some, but all, of the variety of departments we’d been shopping for. 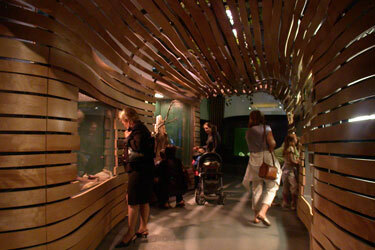 Inexpensive yet intriguing exhibition design masked the temporary status. 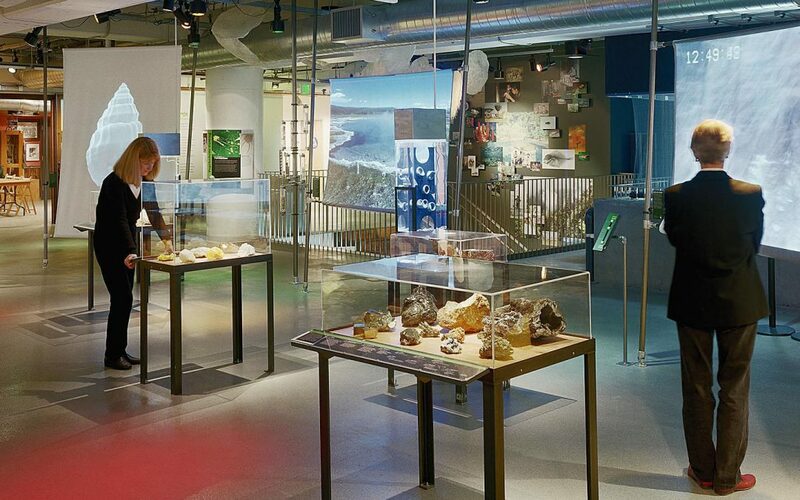 The space turned out to be ideal for a wide variety of temporary exhibits. We were able to negotiate a four-year lease at $8/sf per year, plus four six-month renewal options at $10/sf per year—phenomenal rates on any scale—plus a $23/sf tenant improvement allowance. Additional perks included free Building advertising space facing Howard Street traffic; a 32,000 square foot garage, which was converted to rent-free tank and equipment storage; and full Prop 13 tax protection. The landlord turned the building over to the Academy to construct their improvements and take over management and operations of their new, temporary facility. The temporary downtown location worked exceptionally well for the Academy members and visitors and the phase out dovetailed nearly perfectly with the new Golden Gate Park facility, open to the public since September, 2008 (www.CalAcademy.org ). We were honored to have played an integral part in one of the most historic lease transactions in San Francisco history. We continue to build on our relationship with the Academy through our financial support and volunteer work. Our Principal, Dan Mihalovich, is a Docent for the Academy, specializing in Green Building Architecture tours on the new living roof. Read what the Academy has to say about our work.